Relocation needs can arise anytime in our lives. It can be because of a job change, possession of a new property or the end of the lease. Whatever be the reason, the first thought that crosses our minds while considering relocation is hiring a professional relocation company. Relocation companies have experienced crew and high-end equipment that make your move swift while assuring the safety of your possessions. They offer you an array of effective moving options and help you facilitate an effective move. If you are one of those who think that relocating can be done on your own, you must check on the size and number of furniture at your home. We are sure that you would immediately consider hiring suitable furniture moving company in Brisbane. The professional relocation companies have acquired sufficient amount of knowledge related to all the relocating concerns. They have an extended team wherein there are supervisors and managers to ensure that the workforce is employed on the right task, delivering effective results. Packing and moving an entire household is not a child’s play. You need to be really good with planning the entire move. The furniture removalists in Melbourne work on the entire plan days before and execute it effectively ensuring timely move and security of your belongings. Nowadays relocation companies offer comprehensive solutions to all the moving concerns. You do not have to hire separate companies for home, office relocation or furniture removals in Perth. An effective relocation company will offer you all the services under one roof. 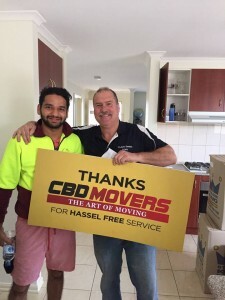 At CBD Movers, we offer you a myriad of services that are made to perfection. You can hire us for your specific needs and we will be happy to assist. We also offer customization in our services to make our packages perfect for your need. Our staff holds expertise in their job and is well certified and accredited to perform their duties. Hire us and we’ll ensure that your move is swift and hassle-free.